We were expecting the announcements of Android 4.3 and the new Nexus 7 for a while now and today was the day Google delivered during their conference, Breakfast with Sundar Pichai. They showcased the new products (as well as Chromecast which will be touched on in a future article) and the new features of Android 4.3. First up, the new 2013 Nexus 7, successor to the immensely successful 2012 Nexus 7. 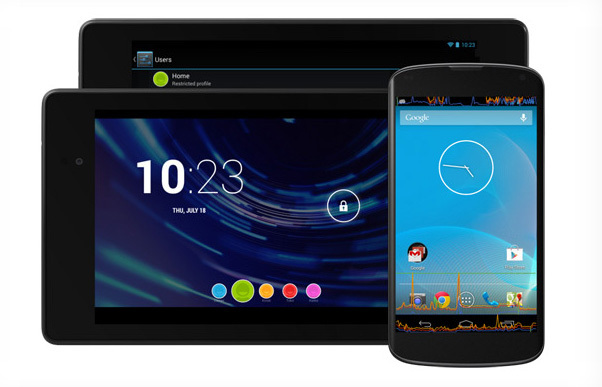 Nexus 7 was google’s first attempt at selling tablets themselves. With a good feature set and an amazing low price – it was the hottest device to get. This year, the form factor is roughly the same. Is is about 50g lighter though and 2mm thinner. It also gets rid of the silver lining around the device. The bezels are still the same thickness on the top and bottom. Internally, the screen has been updated to a full HD 1080p screen with 1920×1200 resolution which is a major improvement over the 1280×800 screen of the previous generation. The processor, graphics and ram has been bumped to a 1.5 GHz quad core Qualcomm S4 Pro 8064 processor, Adreno 320 graphics and 2GB ram respectively. Mono speakers give away to dual front stereo speakers and the front camera is also joined by a secondary 5 mega-pixel camera! That’s a good addition. 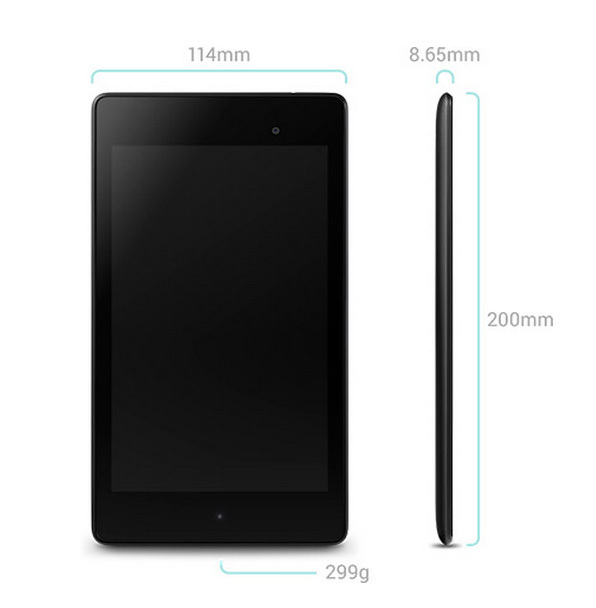 The new Nexus 7 will also be the first device to ship with Android 4.3. The update will also be available on all Nexus devices shortly too. 4.3 does not bring a lot of user-focused features but there are some. There’s new set of multi-user settings, Bluetooth Smart, aka Bluetooth Low Energy, OpenGL ES 3.0 support, and NFC. Google states that the N7 will have upto 9 hours of HD video playback and 10 hours of web browsing. They also included the ability to wirelessly charge the device. These new additions do bump up the price to $229 for the 16GB model though. But a $29 price increase for all these great updates is well worth it. In addition to the 16GB model, the 32GB model is listed at $269 and the 32gb LTE model at $349. 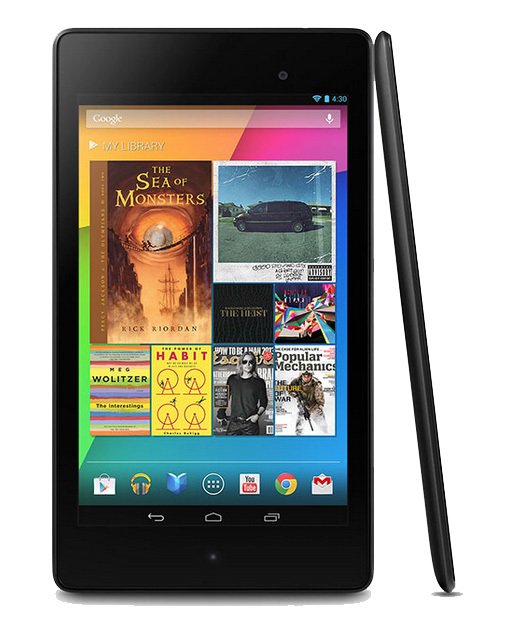 Stay tuned for an upcoming 2013 Nexus 7 giveaway! google keeps putting out nice devices. I still love my Asus T300. Nice share! The slimmer and powerful 2nd gen nexus 7 is definitely worth the price. Hey Salman! I agree. Totally worth the price. I guess I’ll be selling my 2012 Nexus 7 to get the new one! Hope to see you joining in our giveaway!